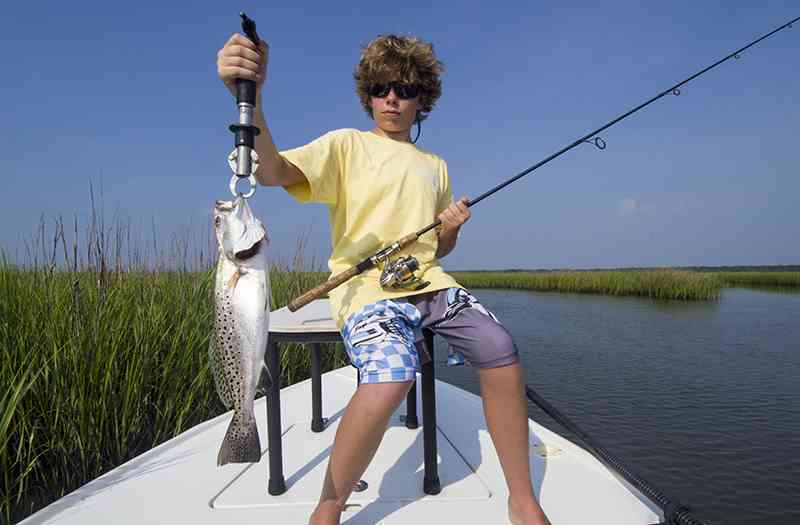 Speckled Trout fishing is a popular target for many anglers since they are so common and generally easy to catch. 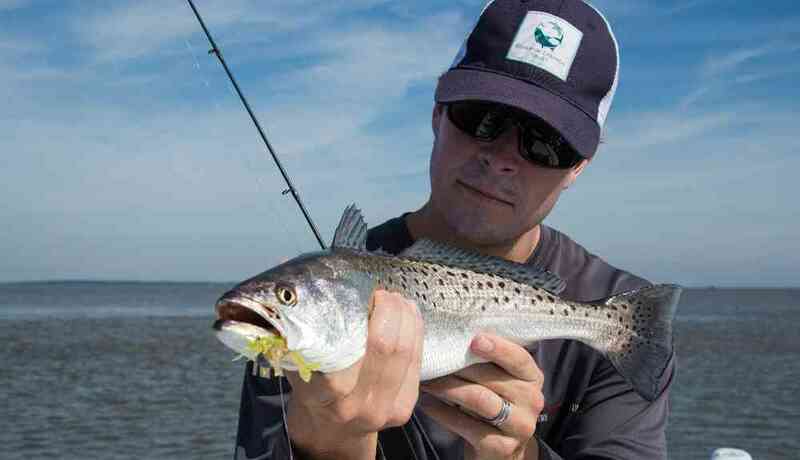 Areas close to Myrtle Beach that have some of the best speckled trout fishing are Murrells Inlet, Pawleys Island, Winyah Bay, and Cape Romain. We target trout using a variety of different techniques and baits like grubs, artificial shrimp, top water plugs, fly fishing gear, as well as live bait like shrimp. Where do we fish for Speckled Trout? We target trout in the backwater estuaries, large bays, and inlet adjacent to the Atlantic Ocean so the majority of trout fishing will take place in calm water. 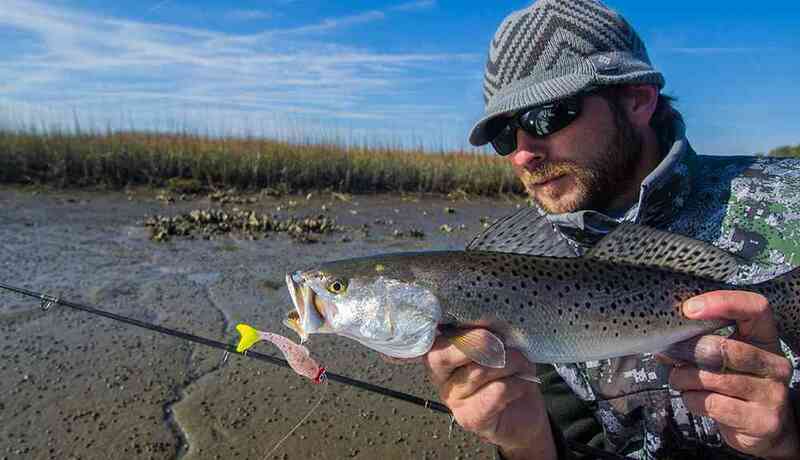 Areas close to Myrtle Beach that have some of the best speckled trout fishing in South Carolina are Murrells Inlet, Pawleys Island, Winyah Bay, and Cape Romain. When to Fish for Speckled Trout? While fishing for “Specs” can be good year around, the best months to target trout are May, June, Sept, Oct, Nov, and Dec. 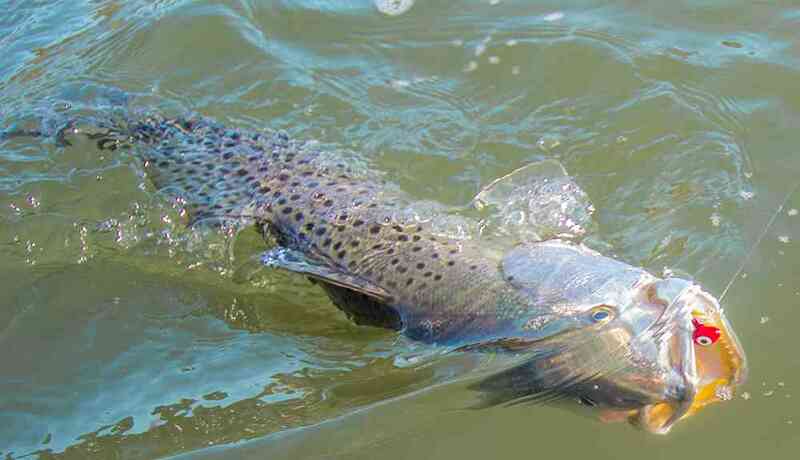 Accurate casting isn’t as critical when trout fishing, however casting distance will increase your odds substantially. Casting artificial lures and live bait with spin fishing equipment is the most common way to fish for trout in Myrtle Beach. Capt. Jordan will accommodate any level of experience and will take the time to instruct novice anglers that need assistance. 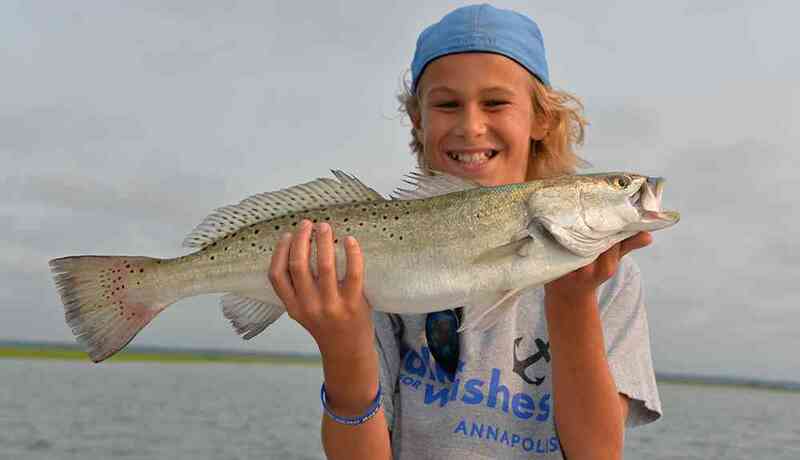 Current SC regulations require a speckled trout to be at least 14 inches in length and you can keep 10 per person. While large trout over 5lbs are common, we to do our best to release these larger females since they are vital to maintaining a healthy trout population in Myrtle Beach. With the exception of the larger females and undersized fish, trout make excellent table fare are one of my favorite inshore fish to bring home to feed the family. Custom fishing charters serving Myrtle Beach, Pawleys Island and surrounding areas.